Anyway, back to Rock Lobster. Adorned with cool paintings and murals (such as the one shown above, done by Pettit's father) and a rustic Canadiana feel to the space (which Pettit designed himself), it seems like Torontonians are loving everything Rock Lobster (Twitter: @RockLobsterFood, Facebook: Rock Lobster Food Co). Rock Lobster's raw bar includes gulf shrimp, Atlantic snow crab, Nova Scotia lobster tail and oysters. There's a semi-private dining room tucked away at the back of the restaurant called the Anchor Room; it's a very nice and cozy space for a small party. 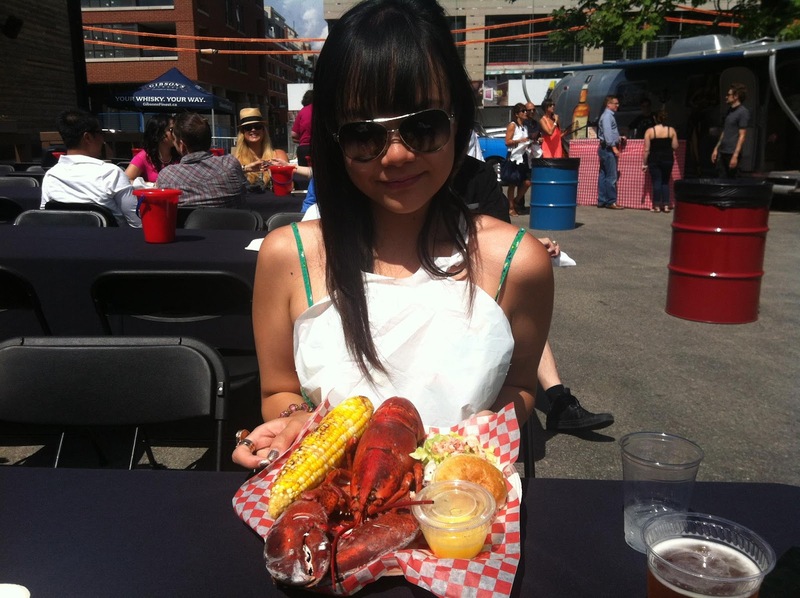 If you love lobster, Rock Lobster is the place to be. If you love lobster and love the fact that you can now have it with comfort foods like poutine and mac 'n cheese, then you need to get your a$$ over to Rock Lobster. Offering a menu focused on well, lobster *duh*, you will be surprised at the variety of non-lobster options as well such as crab, shrimp, and even flank steak and pork belly (which is great 'cuz everybody is bound to find something they want.) And seriously, even if you are not a fan of Caesars, you should still get it; the pure size and grandeur of the cocktail makes it all worth it. I mean come on, there's a lobster tail in it!